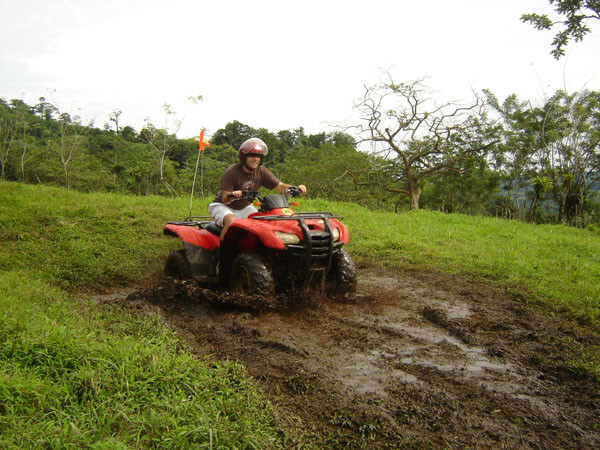 Arenal ATV off road tour: Exploring the natural beauty in a way very few will have the opportunity to. 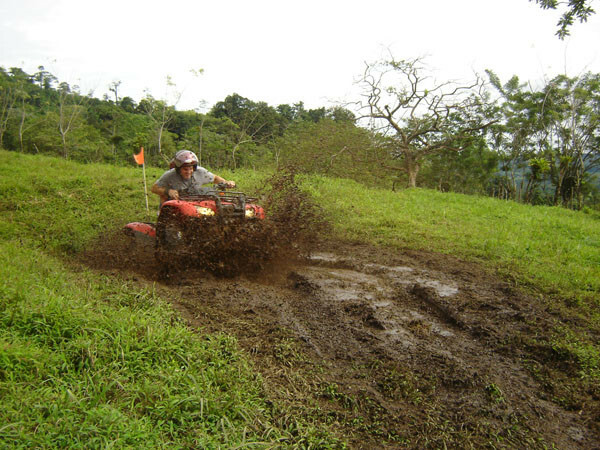 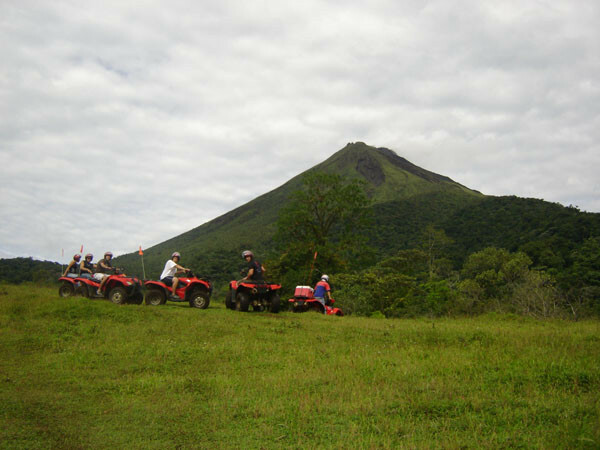 The ATV Adventure offers you a very scenic, easy paced tour that takes us over the mountains, crossing Arenal River and spectacular view of the Arenal Volcano. 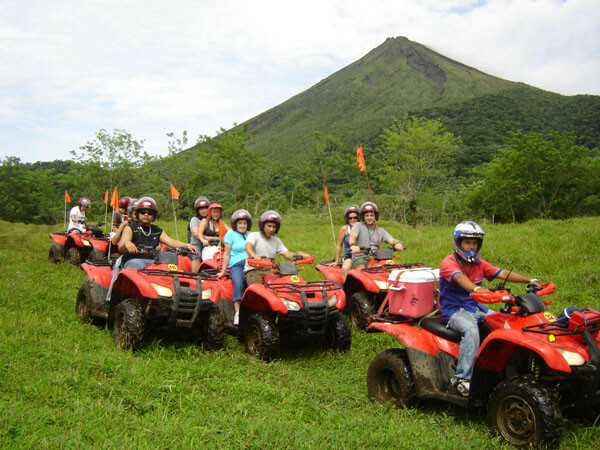 We start this Arenal ATV adventure with a little explanation of how to drive, the security rules and a driving practice, we will go to a private farm, through a beautiful view of nature, trees, birds and animals, we will enjoy all the way to the panoramic view of the the volcano, we visit a viewpoint located at the base of the volcano, from there you can see the all area of the Arenal and of course the Majestic Arenal Volcano, there we will have a drinks and after a break we are all set for the rest of the adventure. 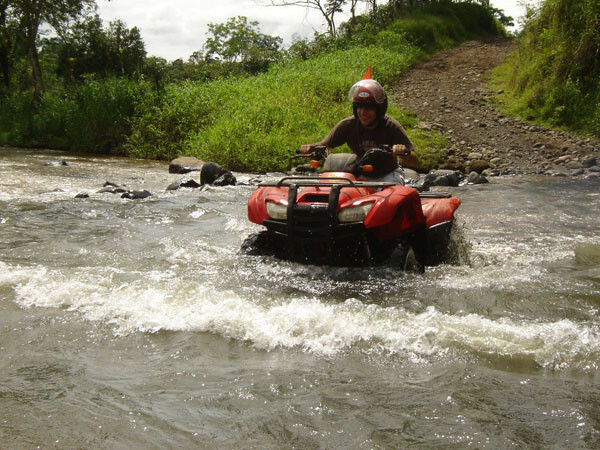 We will drive to the Arenal River going through La Guaria town, once at the river you can take a shower, rest for a while and come back to the restaurant to have a delicious lunch or dinner. 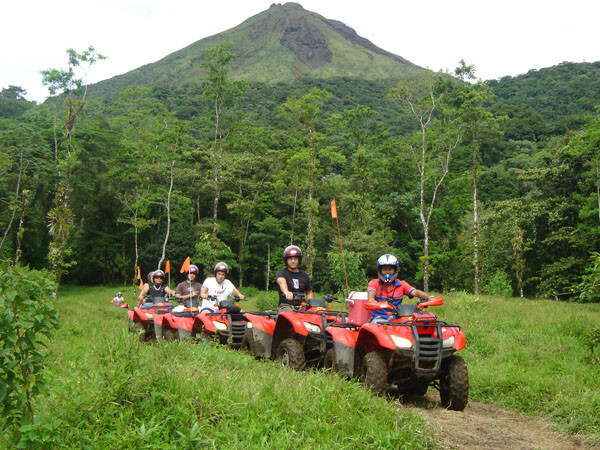 Bilingual guides, specialized ATV equipment for the highest level of safety, transport from and back to your hotel at Arenal Volcano area, lunch. 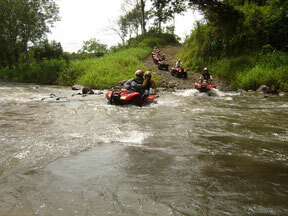 What to bring: Keen-style sandals, watershoes or tennis shoes, clothes to get wet in & change of clothes for after the tour.